Welcome to the Richland School District website! I hope you find our website to be useful with up-to-date information about our District. Richland School District is a premier school district located in the beautiful Laurel Highlands of Johnstown, Pennsylvania. I want to take this opportunity to encourage you to be involved in our schools. I'd like to invite you to attend a concert, play, or cheer on our teams at an athletic event. We have a wide variety of quality academic and extracurricular programs designed to meet our district's mission: To produce responsible contributing citizens who can demonstrate the knowledge and skills necessary to be successful in a changing world. We will accomplish this by providing diverse practical educational opportunities, recognizing each person's self-worth, and developing individual talents and interests. Our commitment to the communities of Richland Township and the Borough of Geistown is to provide the highest quality education possible for each and every student. We want our students to graduate from our school district with the tools, skills, and talents necessary to lead successful, productive lives that will contribute to a higher standard of action. I invite you to visit our schools and see what we offer students and what our students accomplish every day. If you would like to contact me, please call 814-266-6063 or contact us online. To develop a Standards Aligned System (SAS) curriculum and a Data-Driven Decision Making Culture to increase student achievement and growth in the state assessments as provided for by PDE. To develop and implement a curriculum cycle for textbooks, instructional materials, and software. To work towards improving teacher classroom performance/instructional delivery through observation/ evaluation instruments mandated by the Pennsylvania Department of Education. To provide professional development opportunities for all professional and support staff. To improve technology infrastructure, hardware, software, and technology integration consistent with the district’s Comprehensive Plan. To improve organizational management by monitoring staffing levels and staff duties. To work towards fiscal responsibility to ensure core programs are maintained, improved upon, and expanded. To assess and improve the district’s educational and athletic facilities. .
To improve district public relations, partnerships, and community relations. General evaluation of performance Duties and Administration. 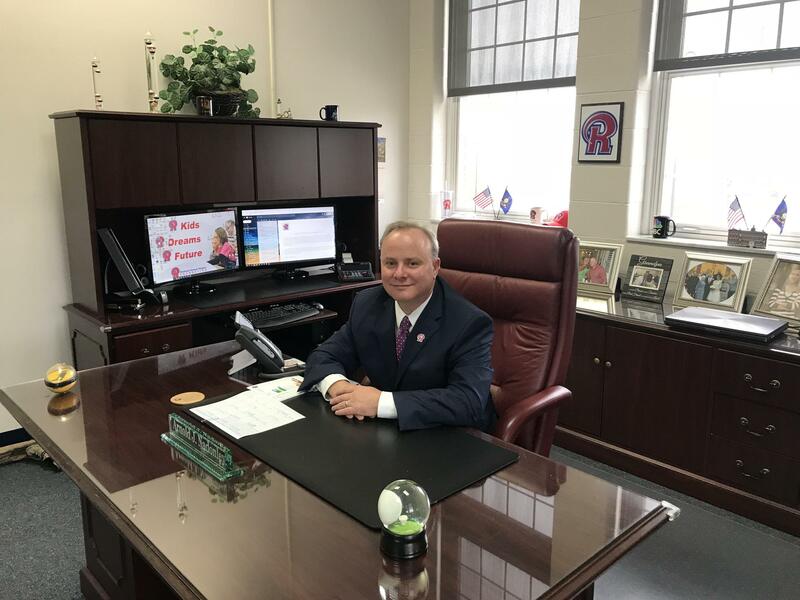 *Pursuant to Act 141 of the Pennsylvania School Code enacted in 2012, the Superintendent successfully achieved the mutually agreed upon goals in his contract for the 2017-2018 School Year ending on June 30, 2018.